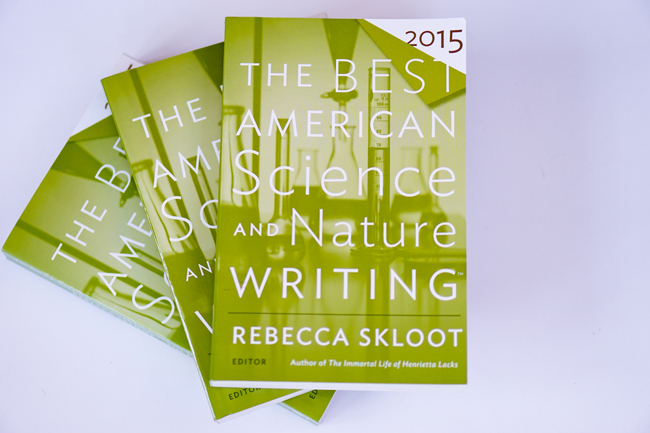 This semester for our Haley Reading Group, we'll cover The Best American Science and Nature Writing (2015) edited by Rebecca Skloot. In the past, we covered books related to history, educational challenges, mass incarceration, race and racism, the art of choosing, and being wrong. We've also covered volumes of poetry. What's been missing? Coverage on science and nature writing, among other topics. A focus on science and nature writing now seems especially fitting since so many of our participants major in STEM fields.